Immune Chess: A piece (including the king) is immune (cannot be captured) if its Circe-rebirth-square is occupied by another piece. 1.e4 e5 2.Ke2 d5 3.exd5 Be6 4.dxe6 a6 5.e7 Kd7 6.e8=K Kxe8 7.Ke1. Schnoebelen-theme: A promoted piece is captured on its promotion square without having moved after its promotion. Its identity can nevertheless be deduced. (Author). The capturing piece occupies the rebirth square during the capture. The definition should avoid different interpretations. So, what is the genuine Immune Chess. Can a Locust capture a piece which stands on its own rebirth-square? So the white Locust can’t capture the black Pa7. So at least this solving program does not follow the definition given with no.481. „Immunschach: Ein Stein inklusive König, dessen Ursprungsfeld (im Circe-Sinne) von einem anderen Stein besetzt ist, ist immun, kann also nicht geschlagen werden. [Er. 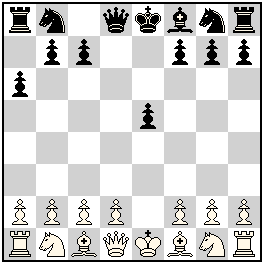 Bartel, Jugendschach (27) X 1981 S.72; Problemkiste (67) II 1990 S. 98]“. I think that this in accordance with my definition given above; and my problem is correct according to this definition (and also according to Popeye, as Nicolas correctly stated). Please note that the Circe-relevant square is that of the captured piece (not of the capturing piece). So it is necessary that White promoted to King: Its capture was possible because e1 was then not occupied. If White had promoted to Queen, then a capture at e8 would not have been possible, because the square d1 is occupied by another piece, namely the original wQ. Thus a wQe8 would have been „immune“ in the sense of Bartel’s definition, meaning that it could not have been captured. For WinChloe, a piece is immune is its Circe-rebirth-square is occupied after the capture. In particular a Locust can capture a piece which stands on its own Circe-rebirth-square. Hi Nicolas, finally, I have understood the point of your initial comment: The word „another“ in the English definition (or „anderen“ in the German definition which I quoted) should be dropped, because it suggests an interpretation which is too restrictive. I agree with that! Then it is clearer why, in the solution of my problem, White cannot play 5.exf7 or 6.exf8 or 6.exd8. Thanks for your comment! So what would be the definitions of Immune Chess according to Winchloe/Popeye? This explains why a Locust may capture a home-based piece under WinChloe but not under Popeye. The distinction is very similar to the Calvet and Cheylan types in AntiCirce, where the question is whether a piece may capture on its own rebirth square. * Popeye has Calvet as a default, so it allows the the capture (because immediately after the capture, the rebirth square is empty so a rebirth can take place), unless you explicitly specify the option Cheylan. * WinChloe has Cheylan as a default, so it does not allow the capture (because the rebirth square is occupied Before te capture), unless you explicitly specify an option to allow such captures. 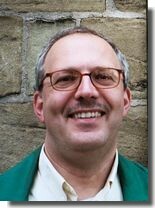 Another rule-subtlety could be noticed concerning Bernd’s problem: Kings are not affected by the Immune condition, i.e. checks remain normal and thus the royal contact is forbidden (one have to work under “Immune Rex Inclusiv” to allow this trick). But, in Losing Chess, Kings are no more royal pieces! But in Bartel’s original definition, “Immunschach” is “rex inclusive” by default (even without the added condition of Losing Chess). Do Popeye and WinChloe have different default settings for the inclusion of Kings in “Immunschach”? Given any Popeye release, the solution was found under Immune Rex Inclusive, but not under Immune alone. The same holds for WinChloe. So I can now answer your question, Bernd: the condition Immune is “Rex Exclusive” by default (for the 2 main fairy solving programs I mean). Hi Nicolas, thank you very much for the trouble you have taken. Your results for Popeye and WinChloe raise deep questions about the “right” implementation of fairy conditions. Should the human originator have the authority to determine THE correct definition? Or should it merely be a suggestion which others might interpret in different ways? It is difficult for inventor of fairy elements to exercise any kind of authority. Even if he tried and there was some process set up for this, still there are already so many possible interactions of various rules (including standard orthodox rules, fairy conditions, fairy pieces and other) that it is virtually impossible to think about everything in advance. As a consequence, the authority is de facto held by program developers, that have to decide how the fairy element will be included in their programs and they cannot consult everything with authors, especially at the beginning with lack of deeper examples. That is why I totally understand wish of some tourney directors and editors who simply request authors to give them the indication of the solving program used for testing. Personally I just make remark “tested with WinChloe (Popeye x.y) understanding of fairy conditions”. After all, the set of rules is coded in an unambigous way in our deterministic programs used for testing. I find this state of things practical as this allows progress rather that endless resolving of tiny details. Of course, once some rule has to be used officially (e.g. for WCCT) it is necessary to be as precise as possible. Programmers sometimes use the excuse: „It’s not a bug, it’s a feature!“ But this cannot be accepted in every case when a particular version of a solving program shows some kind of freakish behaviour. The programmers cannot have the last word, and there must be some criteria for „correctness“ of implementation. But perhaps it is true that the last word about acceptability should not be given to a particular originator, but to the chess problem community as a whole. Yes, but concerning Immune both programs tell the same story, which seems not to be so freakish. Yes, Nicolas, I agree. It would be nice if there were be a general convention for all fairy conventions concerning the inclusion/exclusion of kings; and it seems reasonable to set the default settings for the exclusion of kings (except, of course, for fairy conditions in which the kings are non-royal). Another exception would be conditions which deeply modify the checking/auto-checking moves, e.g. Vogtlaender. In such a case it is almost non-sense to exclude Kings, as they play a key-role in the condition. Bernd has interesting proof games in Losing Chess. Here is one of them from 2008: 1. h4 c6 2. h5 Qb6 3. h6 Qxf2 4. hxg7 Qxe1 5. gxh8=K! Qxd1 6. Kxg8 Qxc1 7. Kxh7 Qxb2 8. Kh8 Qxh8 (B. Graefrath-Die Schwalbe 2008). K-Donati theme.